Mens shoes in sizes 14 to 19 are here, in our online mall. Our merchants have over 8,000 pairs of extra large mens shoes to offer you, from Gucci to Bruno Magli, Cole Haan, and many more. We've been helping tall men shop online since 2002. One of the top online shoe retailers has a huge selection of mens extra large shoes -- over 7,000 pairs of shoes in size 14 and up. Shop with Saks for mens extra large designer shoes in your size from Gucci, Bruno Magli, Balenciaga, Giuseppe Zanotti, and more. 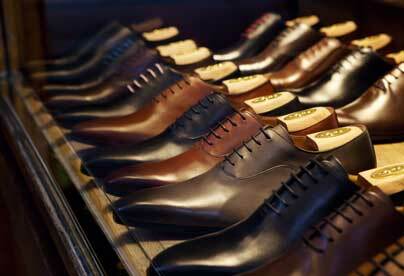 Nordstrom features over 1,000 pairs of mens shoes in size 14 and up, from all of the top name brands. Macy's features mens extra large name brand shoes in sizes 14 and up. Penney's features hundreds of extra large mens shoes, in sizes 14, 15, and 16.